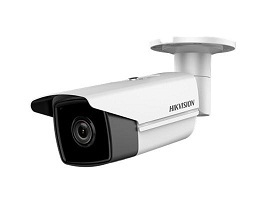 Many security cameras brands are quickly becoming a frequent sight around the world. You can see them in stores, restaurants, even at people’s homes. More and more cities and private entities have started to use security cameras to monitor and record public places. This brings up concerns and a good amount of the population is curious as to what the benefits of having surveillance cameras in public places are. Today we are going to explore those benefits in order to provide you with the background you need to understand the importance of surveillance cameras. The obvious function of public surveillance cameras is to monitor and record any crime that happens in public places. A lot of people become immersed in the idea that crime only happens in private places but the truth is a good portion of crime happens in public spaces and people just don’t notice it. By monitoring and recording crime you can capture criminals quicker. Sometimes it is even possible to prevent crime with the use of surveillance cameras. Simply the presence of security cameras has proven to help deter crime in all areas. The presence os security cameras indicates that there is a motivated defender present and makes it less likely that a criminal will want to take action. At the same time, not every criminal will bedeterred by the placement of security cameras. The most motivated of offenders will continue to commit crimes. There are other systems out there that governments already implemented to track crime. Shotspotter, a system that detects the sound of gunshots and is able to locate them, is an example of this. Radiation detection platforms are another example of this. Surveillance systems can work in combination with existing systems to help determine where a crime is and who the perpetrator is. The systems don’t have to be crime related either. Most cities allow the public to report traffic accidents and other incidents. Surveillance systems allow for the monitoring of these incidents to better coordinate responses and to reroute the public. Many citizens who know that an area is being monitored will feel safer visiting there. In fact, with the reduction of crime, they won’t just feel safer visiting a surveilled area. They will be safer. This peace of mind in a dangerous day and age is priceless. Public surveillance cameras are not just usedfor safety and security. Many cities that use them in public places also have started to utilize them for data gathering. They are able to gather the population of a given area throughout the day and to record traffic patterns. This information can be used to bolster infrastructure and understand a community. Surveillance cameras in public places should not present any type of privacy concern. Most countries that allow surveillance cameras in public places also allow for video taping by the public in public places. With the power of cell phones, many people do this regularly. The only time public surveillance cameras become a privacy concern is if they are able to view private spaces. For example, being able to see through someone’s window. This can and should be avoided by the proper placement of cameras. Placing surveillance cameras in public places is quickly becoming the new trend. Countries, states, and cities around the world have been implementing all types of surveillance systems in order to be able to safeguard their public.